Weight Loss Tips. Blossoming Body. Rapid weight loss: the most dangerous diet! You are tempted to eat a lot of "forbidden" foods, and then you lose your head from the numbers that show your weight on the scale? You notice the appearance of extra weight on those parts of your body, where it really does not want to be seen. And what do we do? You really want to go on a diet, torture yourself and your body? Few people manage to keep indifference to snacks that are all around us! Not long ago you had a terrific figure, and as soon as you lose your nerve and eat something "forbidden" and that has a lot of calories, you instantly gain weight. And what do you do: always go on a diet, limit yourself or maybe take advantage of the so-called "fast" diets? Do you know that these "fast" diets are very dangerous? Yes and the weight lost during dieting, returns immediately after the diet. In this article we want to dismantle the most dangerous "quick" diets, and we hope to dissuade you from them. When you are on a grapefruit diet you should eat a meal with tiny portions, and the rest of the time - only grapefruit. Thus, when you are on a grapefruit diet you practically only eat grapefruit. Grapefruit Diet is effective after 10-12 days of compliance. These 10-12 days grapefruit diet is torture for the body, depriving the body the required number of proteins, fats and carbohydrates. Grapefruit Diet suggests to eat grapefruit in large quantities and on an empty stomach. Grapefruit Diet may adversely affect the condition of teeth, gums, stomach and esophagus. It is necessary to stipulate that such effects grapefruit has only in the case of grapefruit diet; itself the fruit in small quantities does not cause such harm to the body. 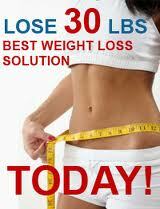 The three-day diet involves Balanced diet for three days and then back to normal - during the next four days. However, about the menu offered by nutritionists for a three-day diet, seems very cruel. Foods that are recommended to eat for three days diet knock the appetite that cannot proceed without a trace of the body. And during the three-day diet of sweets you can only dream, only low-calorie foods. By the way, you cannot overeat in the next 4 days too, otherwise all three days of food abstinence will be consequences for the figure. Another perversion and mockery of your own body. Seven-day diet suggests that people eat every day, only one product, for example, the first day - only to bananas, in the second - only meat, and the third - vegetables, etc. Seven-day diet has the same negative effects on the body, like grapefruit diet. Any diet is, in principle stress for the organism, and there is really no reason to talk about diets because it is always same - you cannot eat anything except a certain product? During a cocktail diet the meals must be replaced with nutritious cocktails of fruits and vegetables. Perhaps the effectiveness of the cocktail diet someone tried it out on themselves, but as far as safety diet, this diet is not safe. A diet, you generally have a choice: shape or health. Does it make sense to risk health for the sake of the standard 90-60-90? And far from clear, what will happen to achieve this goal through diet. What would be attractive to efficiency is not a diet, any diet anyway - it's a lot of stress for the organism. Any diet can harm the body, and departed during the diet pounds can return. Before you begin to comply with any diet, consult experts! Rapid weight loss, the most dangerous diet,fast diet, seven day diet,three day diet, cocktail diet, diet.